Provide comfort for the family of Jack Bargy with a meaningful gesture of sympathy. Jack N. Bargy, 91, of Minoa, passed away Wednesday surrounded by loved ones, including his granddaughter, Danielle Skibitski. He was born in Ellisburg, NY, the son of the late Lou and Annabelle Bargy. Jack proudly served in the United States Navy during WWll, the Korean War and the Greek Civil Unrest. He worked as the Minoa Codes Enforcement Officer. Jack also worked with the Carrier Corporation and Cooney Heating and Air. He was a very active member of his community. He was a Commander and life member of VFW Post 9596 and the CNY Chapter of the Korean War Veterans. He also was a scout master for multiple troops in the Boy Scouts of America, Wood Badge instructor, and a silver beaver recipient. 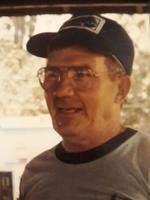 Jack enjoyed the outdoors and was an avid organic gardener. Surviving are his daughter, Diane Hummell; sons, Wayne (Denise) Bargy, Richard Bargy; 8 grandchildren, 18 great-grandchildren; and several nieces and nephews. He was predeceased by his wife, Helen Bargy and his son, James Bargy. Calling hours will be from 4-7pm on Tuesday at R.H. Schepp & Son Minoa Chapel, 6530 Schepp’s Corners Rd. Minoa. A funeral service will be at 11:00 am on Wednesday at the funeral home. Burial will follow at White Chapel Memory Gardens. Contributions may be made to the Wounded Warriors Project, 4899 Belfort Rd., Suite 300, Jacksonville, FL 32256. Diane and Family, So sorry to hear about your Dad. Many good memories of your parents. My thoughts and prayers are with you.